XV, 403 S., 195 s/w Illustr., 31 farbige Illustr., 40 s/w Tab. 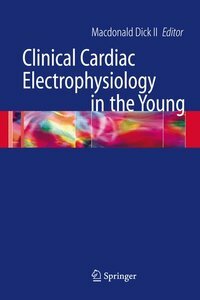 This book focuses on the practical aspects of clinical electrophysiology of cardiac arrhythmias in the young. It represents a compilation of the clinical course, electrophysiologic studies, pharmacological management, and transcatheter ablation therapy in patients from infancy through young adulthood. 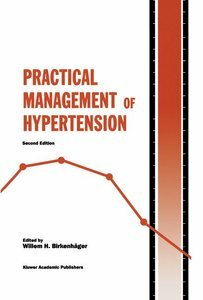 Topics include the mechanism, ECG characteristics, electrophysiologic findings, treatment, and prognosis of tachyarrhythmias and bradyarrhythmias; specialized subjects including syncope, cardiac pacemakers, and implantable cardiac defibrillators; pharmacology of antiarrhythmic agents; and the roles of allied healthcare professionals in the management of arrhythmias in the young. 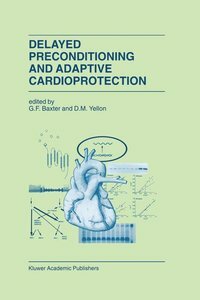 This revised edition includes new or expanded chapters on the molecular biology mechanisms that underlie the structure and function of the cardiac conduction system; new navigation technologies for detecting cardiac arrhythmias while minimizing radiation exposure; genetic disorders of the cardiac impulse; and sudden cardiac death in the young, particularly athletes. 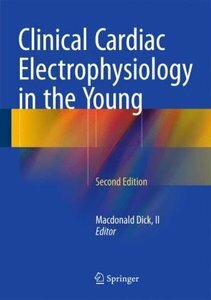 Featuring contributions from practicing clinical cardiac electrophysiologists affiliated with the Michigan Congenital Heart Center at the University of Michigan, Clinical Cardiac Electrophysiology in the Young, Second Edition, is a premier reference for cardiologists, residents, and medical students. 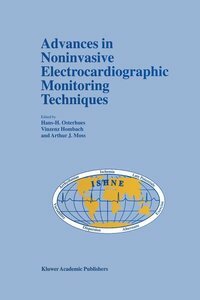 Part I: Background.- Development and Structure of the Cardiac Conduction System.- Physiology of the Cardiac Conduction System.- Clinical Electrophysiology of the Cardiac Conduction System.- Part II: Clinical Electrophysiology in Infants and Children.- Atrioventricular Reentry Tachycardia.- Atrioventricular Nodal Reentry Tachycardia.- Persistent Junctional Reciprocating Tachycardia.- Sinoatrial Reentrant Tachycardia: Inappropriate Sinus Tachycardia.- Atrial Flutter Intra-atrial Reentrant Tachycardia.- Atrial Fibrillation.- Atrial Ectopic Tachycardias.- Junctional Tachycardia- Congenital, Acquired, Post-Operative.- Multifocal Atrial Tachycardia.- Ventricular Tachycardia.- Sick Sinus Syndrome.- First- and Second-Degree Atrioventricular Block.- Complete Atrioventricular Block Third-Degree Heart Block.- Syncope.- Cardiac Pacemakers and Implantable Cardioverter-Defibrillators.- Genetic Disorders of the Cardiac Impulse.- Fetal Arrhythmias.- Sudden Cardiac Death in the Young.- Pharmacology of Antiarrhythmic Agents.- Transcatheter Ablation of Cardiac Arrhythmias in the Young.- Allied Professional Roles in the Management of Arrhythmias in the Young.